Since its inception in 2004, the Massachusetts Baby Safe Haven Law has provided a much-needed resource for individuals who, for whatever personal reason, feel they cannot properly care for a newborn infant. The Baby Safe Haven law provides a compassionate opportunity for saving the lives of children abandoned by parents who often are young, desperate, and unknowledgeable about financial and other supportive resources. It is a proper alternative for a woman who might be in a very stressful situation and by remaining anonymous, assures a safe, healthy environment for her newborn. The Massachusetts Catholic Conference has worked to expand this legislation. 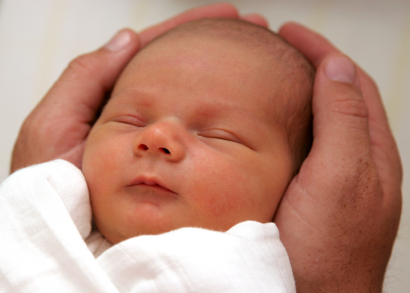 See MCC Testimony for Bill expanding the Baby Safe Haven Statute (pdf) June, 2013. See MCC Testimony for Bill Expanding Baby Safe Haven Law (pdf), May 2011. See MCC Testimony for Baby Safe Haven Law (pdf), February 2004. See MCC Testimony for Baby Safe Haven Laws(pdf), June 2003. See MCC Testimony for Baby Drop-Off Bill (pdf), April 2001. For more information on the Baby Safe Haven Law in the Commonwealth, please see the Department of Health and Human Services webpage covering Baby Safe Haven. Please also see the website for Baby Safe Haven New England. Baby Safe Haven Public Notice in English(pdf), Spanish (pdf), and Portuguese (pdf).